The second Grand Slam of the year is here! Rafael Nadal is looking for a 10th title at Roland Garros and he was drawn in the same half as defending champion Novak Djokovic, Milos Raonic and up-and-coming Dominic Thiem. This season, Nadal has been the dominant player on clay, winning 17 straight matches on his favorite surface and three consecutive titles before Thiem halted his run in Rome last week. The Serb's form nosedived after his triumph on the Parisian red clay as he lost in the third round at Wimbledon for his earliest defeat in a Grand Slam in seven years. Djokovic, who lost his No 1 ranking to Murray last year, has won only one of his last 11 tournaments. 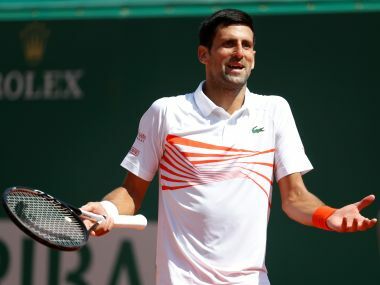 Djokovic, who hopes new coach Andre Agassi will help him turn his luck around over the next fortnight, will start the defence of his title against 76th-ranked Marcel Granollers. The top-ranked Murray, who will open against Andrey Kuznetsov, was drawn in the same half as third seed and 2015 champion Stan Wawrinka, who he could meet in the semi-finals. Before that, he faces a potential difficult match-up against Juan Martin del Potro in the third round if the Argentine player recovers in time from shoulder and back problems. 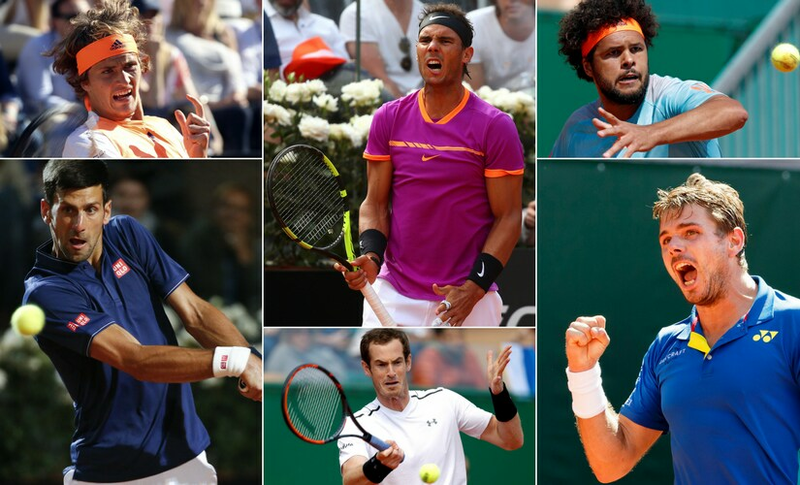 Check out our predictions for which players stand a chance to stop Nadal's quest for his 15th Slam. In the absence of Serena Williams and Maria Sharapova, the women's draw is looking wide open this year. 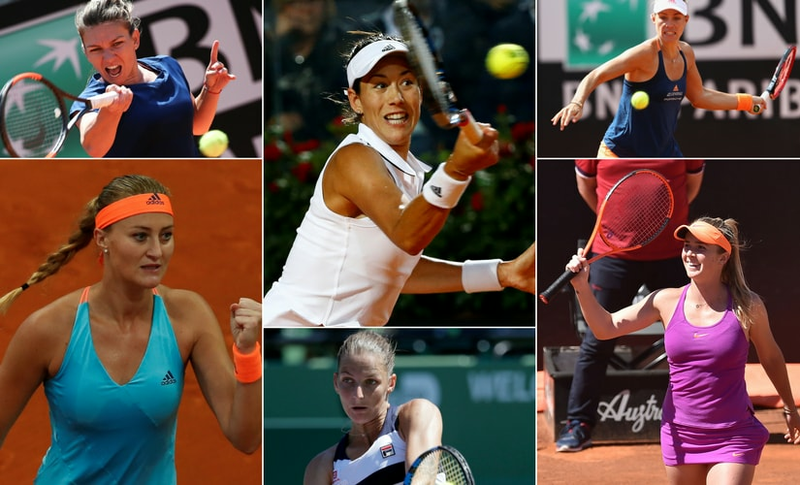 An intriguing first round match-up will put defending champion Garbine Muguruza against 2010 champion Francesca Schiavone, while top-ranked Angelique Kerber will take on 40th-ranked Ekaterina Makarova. The tournament will also see two-time Wimbledon champion Petra Kvitova making her comeback less than six months after she was stabbed during an attack at her home in the Czech Republic. Williams is not playing because she is pregnant, while Sharapova's ranking wasn't high enough to gain direct entry into the tournament after a 15-month doping suspension. Tournament organisers did not grant her a wildcard. Click here to read our predictions for an unpredictable and intriguing women's draw at French Open 2017. Sschedule: Main-draw play begins on Sunday. The 15-day tournament closes with the women's singles final on 10 June and the men's singles final on 11 June. Click here to find out where you can catch the action live. Prize money: Total prize fund is nearly €36 million (about $40 million), a 12 percent increase from 2016, with €2.1 million (about $2.35 million) each for the men's and women's singles champions. The Scot comes into the French Open battling a dip in form that has seen him fail to reach the quarter-finals in five of the eight tournaments he has played this year. Murray admits he has at times lacked motivation since becoming world number one in November, but with Ivan Lendl back in tow as coach he will be keen to rediscover his touch on clay and make a decent stab at claiming a first title at Roland Garros. Recent results indicate the defending champion is returning to something approaching his best after a months-long dip in form caused by injuries and a lack of confidence. The appointment of Andre Agassi as Djokovic's coach for the French Open has fuelled the mood of optimism around the Serb, who reached the quarter-finals in Monte Carlo, the semi-finals in Madrid, and the final of the Italian Open in the build-up to Roland Garros. The three-times Grand Slam champion is vying for a second French Open triumph in three years, after winning in 2015. Wawrinka is not an obvious favourite this year but, at 32, the wily Swiss is one of the best clay court players on the tour, winning a title a year on the surface since 2013. Rivals can take some comfort from his indifferent clay-court season so far this year, with early exits in Madrid, Monte Carlo and Rome. Back to his best after a long injury layoff, Nadal is clear favourite to claim his 10th French Open crown after a blistering start to 2017. The Spaniard has been near invincible on clay, taking titles in Rome, Barcelona, and Madrid, before his 17-match winning streak ended in defeat to Austria's Dominic Thiem in the quarter-finals of the Italian Open. The young German is in the most successful spell of his fledgling career and broke into the top 10 this week after beating Novak Djokovic in the final of the Italian Open. Just 20 and having also won titles in Montpellier and Munich this year, Zverev is in pole position to become the first player from 'generation next' to win a Grand Slam. Tsonga has won two titles this year, beating David Goffin in Rotterdam and compatriot Lucas Pouille in the Marseille Open in February to end a nearly two-year drought. At 32, this could well be his last chance to mount a realistic bid to become the first Frenchman to win the title at Roland Garros since Yannick Noah in 1983. Clay has never been the world number one's preferred surface. The German made an opening round exit in Paris last year and has only once made it as far as the quarter-finals. Kerber has struggled this season, and she withdrew from the Madrid Open with a thigh injury and was beaten in straight sets by qualifier Anna Kontaveit in Rome last week. The defending champion returns to the French Open after a mixed start to the season. She showed flashes of her best at last week's Italian Open, but retired hurt during the semi-finals -- her fourth injury of the year. Muguruza's sharp movement and strong serve are well suited to Roland Garros, where she has played some of the best tennis of her career. The Romanian is a favourite to win her first Grand Slam trophy in Paris this year to cap what is her most successful season on clay. Halep came close to lifting the Suzanne Lenglen Cup in 2014, but was beaten by Maria Sharapova in the final. 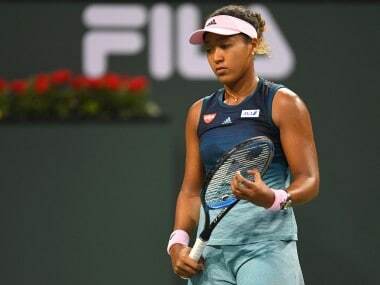 She enters Roland Garros having successfully defended her title in Madrid and reached the Italian Open final, but is nursing a torn ligament that may hamper her chances. The Ukrainian enters the French Open as the tour's most successful player of 2017, and stormed back into the top 10 after winning her fourth title of the year in Rome last week. Svitolina, who reached the quarter-finals at Roland Garros two years ago, leads the WTA's 2017 Race to Singapore with 2,845 points. Pliskova's movement may not be good enough to match the best players on clay but her strong serve and record this season put her in contention ahead of the French Open. 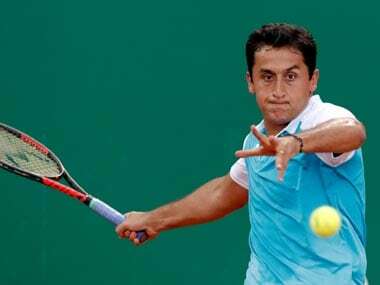 The Czech reached the quarter-finals in both Stuttgart and Rome. French hopes rest on the shoulders of Mladenovic, who has soared up to 14th in the world ranking with a series of impressive performances on clay. The 24-year-old beat Maria Sharapova on her way to the final in Stuttgart before claiming another runners-up finish in Madrid. With only one quarter-final appearance so far at the majors, Mladenovic will hope to put on a better show for her home crowd next week.